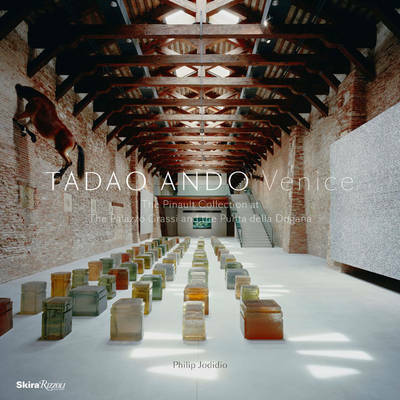 The acclaimed renovation of two of Venice's most revered landmarks by the master architect for Fran ois Pinault's unmatched contemporary art collection. Long acknowledged as a master builder of art spaces, Tadao Ando faced a new constructional challenge with the renovation of two of Venice's iconic buildings--and succeeded brilliantly. Approached by French magnate Fran ois Pinault to renovate two disparate but equally high-profile and challenging Venetian structures to house his peerless collection of contemporary art--the Palazzo Grassi and the Punta della Dogana--Ando deftly employed his signature process to produce two elegant interiors from highly complicated historic sites. At the Palazzo Grassi, prominently located on the Grand Canal, Ando's quiet but expert renovation of the eighteenth-century rooms harmonizes contemporary art with historical Venetian spaces. At the Punta della Dogana, the Venetian Republic's original customs warehouse, the large-scale space was subtly subdivided into refined rooms for installation art. The overall effect of the two different renovations is a harmony of old and new, of history and innovation--a result that can only be from the hands of Tadao Ando.